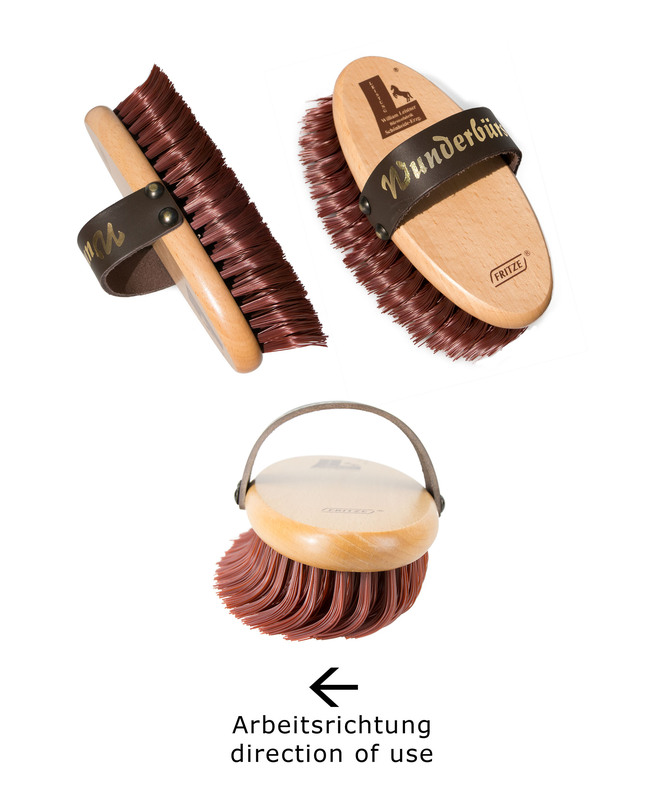 As some customers wish the »Grand Gilbert« (1 b 14) with their logo printed, we have added this to our program with lacquered beechwood back. 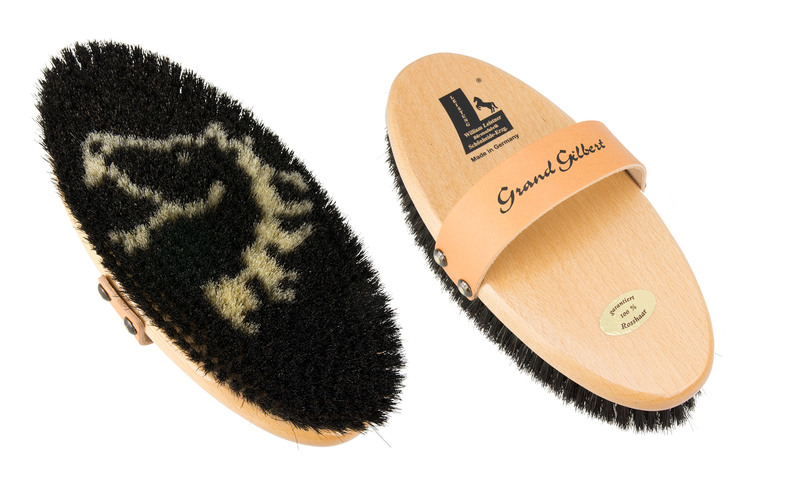 Two rows of 100 % horsehair remove the dirt down to the skin and 100 % goat hair the last dust in one pass. 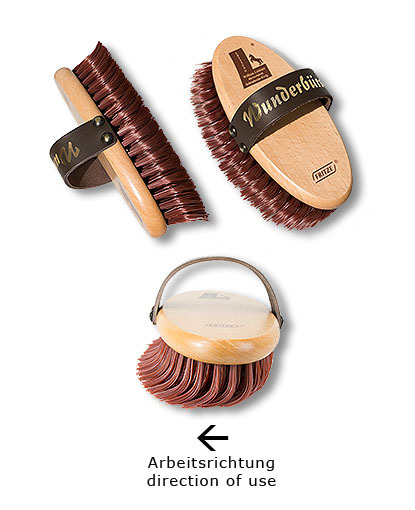 The result: long-lasting shine of the fur. 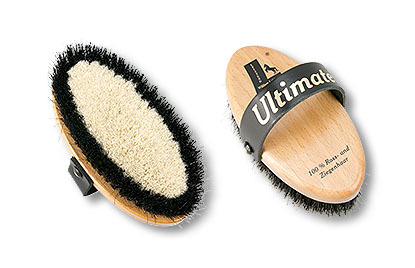 Convenient in daily use, also ideal for tournament. 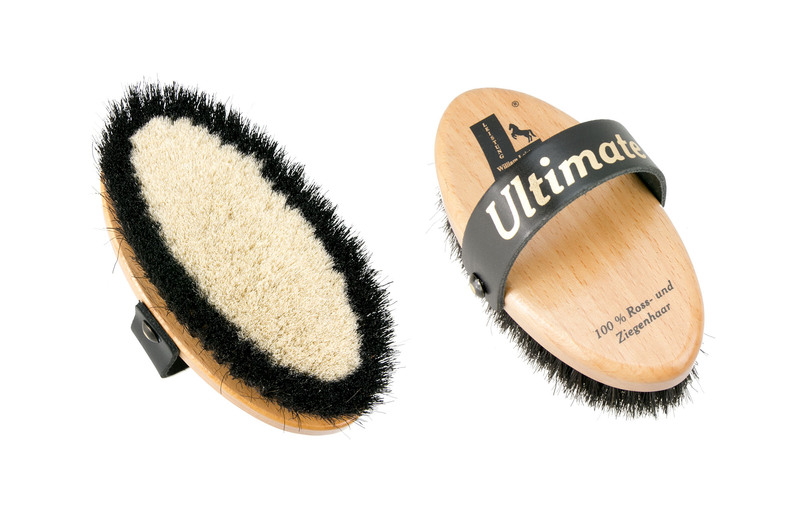 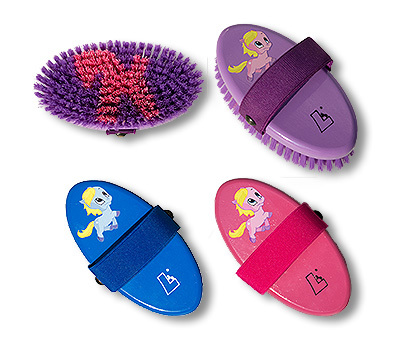 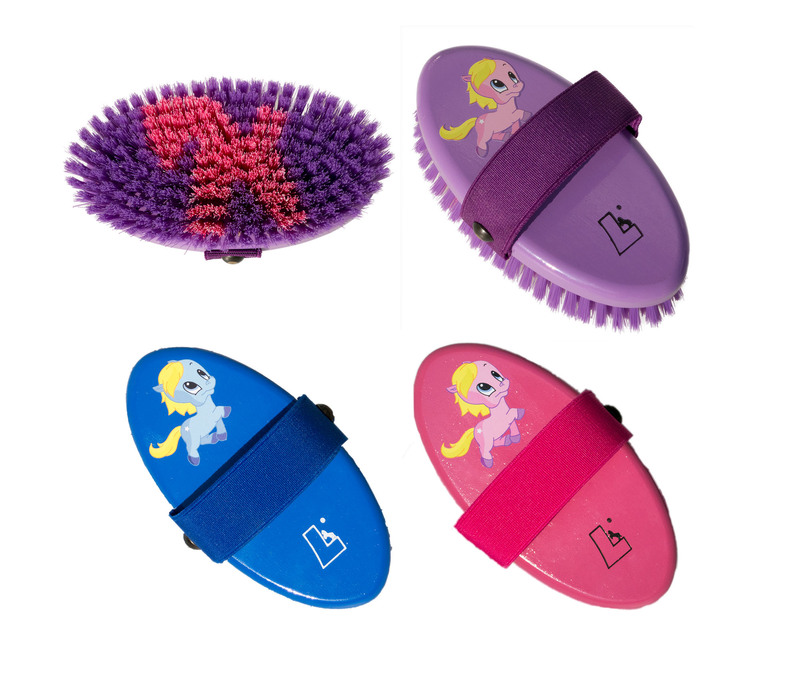 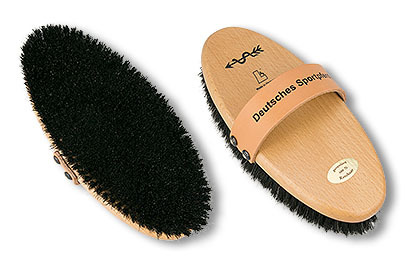 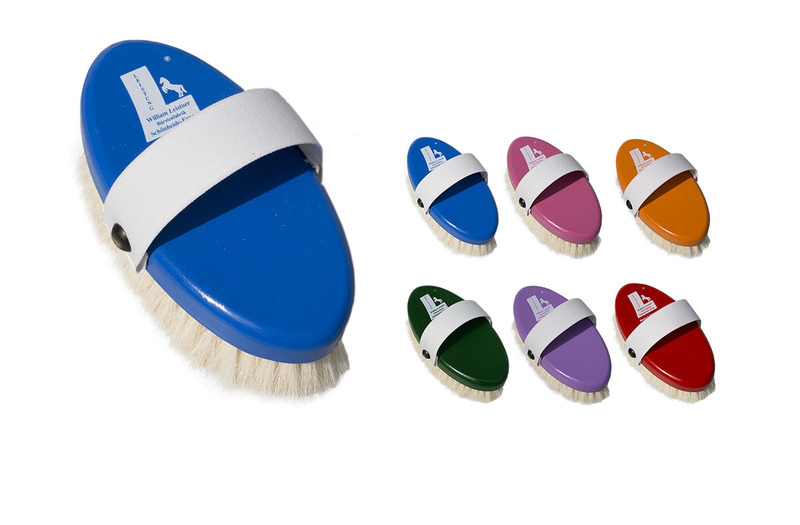 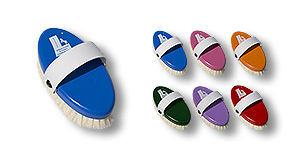 The »Ultimate« Horse head brush is ideal for cleaning the head of horses and at the same time a cuddle brush. Two rows of 100 % horsehair and the 100 % goat hair remove the dust in one pass for a great shine of the coat.